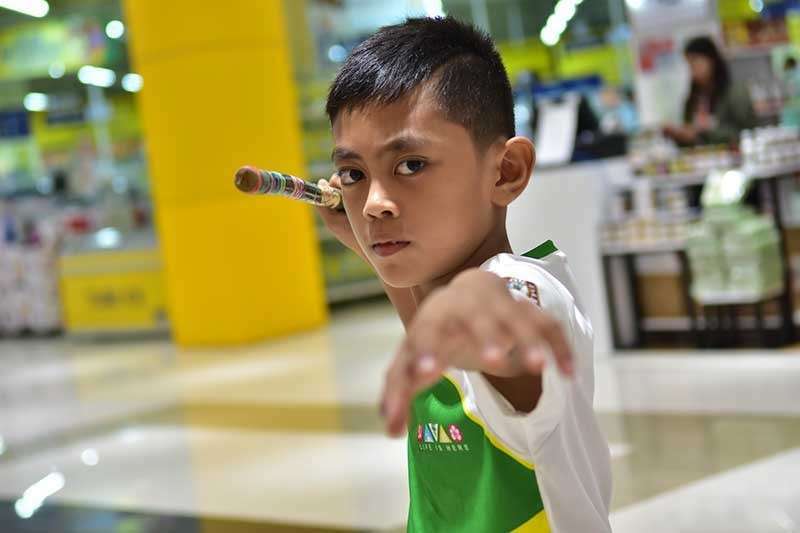 TAGUM CITY -- Anton Razy Fujita saved the day for Davao City by clinching the defending overall champion's first gold medal in cadet boys non-traditional single weapon event of the Batang Pinoy 2019 Mindanao leg arnis competition at the City Mall here Monday, February 4. Fujita, 10, of Magallanes Elementary School garnered a score of 9.50, prevailing over Tagum City's Eli Gabriel Panabay (9.46) and Davao City's Emmanuel Josh Nacion (9.43). Panabay and Nacion took the silver and bronze, respectively. Davao City arnis coach Niño Jay M. Bareña said Fujita's feat was a welcome respite from their recent Davao Region Athletic Association (Davraa) Meet 2019 loss. He said, "We're happy to bounce back here." Meanwhile, Dabawenya Althea Kelly Odiong salvaged a bronze in bowman girls event of the archery competition. Odiong amassed 593 points, placing third in the event ruled by Rhynjyll Yvis Endaya of South Cotabato (634) in the archery meet held at the Davao del Norte Sports and Tourism Complex here. The silver went to Geanne Gasendo (601) also of South Cotabato. South Cotabato's Grace Signacio snatched another gold in yeoman girls division even as Koronadal's Romee Rioja (yeoman boys 20 arrows) and Justin Basadre (bowman boys 30 arrows) also pocketed golds. Over at the Tagum City Beach Volleydrome, Davao City boys and girls teams demolished their respective rivals. Davao City's Jayrad Perfecio Adeva of Philippine Science High School and Ryu Ampan of Philippine Nikkei Jin Kai International School defeated Sultan Kudarat, 21-18, 21-11. Adeva, in an interview with SunStar, said they only trained once or twice a week for two months. "We were still familiarizing the court during the first set, marami kaming errors. Sa second set, naka communicate na kami at nag-recover." A Batang Pinoy first timer, 14-year-old Adeva said they feel the pressure of having to defend the city's gold in beach volleyball boys. "Gusto rin talaga naming mag-champion," he added. The Adeva-Ampan pair will test the mettle of Davao del Norte's bets who survived Mati City, 15-21, 21-8, 16-14 at 3 p.m. today. playing General Santos City as of Monday afternoon. 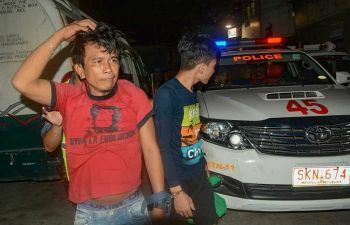 Davao City's Nestor Sorrosa-coached secondary boys basketball team, meanwhile, breezed past Zamboanga del Norte via forfeiture. The latter was a no-show. Sorrosa told SunStar Davao that their rival team was allegedly pulled out due to bullying that was caught on video. 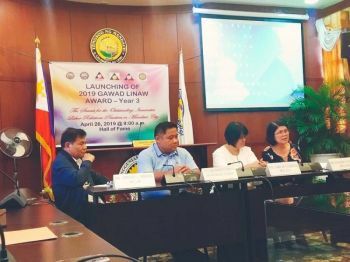 The Philippine Sports Commission (PSC) technical committee, however, said it has not heard of any team or delegation pulling out from the weeklong sportsfest. Sorrosa's wards will next collide with Tagum City at 9:20 a.m. tomorrow. At the Barangay San Miguel Gym, Davao City boys under-15 futsal team routed President Manuel A. Roxas, Zamboanga del Norte, 7-2, in bracket B single round robin eliminations. Saidamin Bacol made two goals while Lance Antepuesto, Christian Osog, Arseth Jayubo and Rommer Leu Paciente added one each. Davao City was still playing its second match opposite Davao del Norte. Davao City's girls futsal team was pitted against President Manuel Roxas, Zamboanga del Norte as of this writing.